Jack of all trades: Is Sonny Bill spreading himself too thin in his quest for silverware? Sonny Bill Williams needs to stop switching. June saw speculation that Sonny Bill Williams will once again make another career change. The ‘Mr Ben’ (gratuitous Eighties reference) of Southern Hemisphere rugby could join Liam Messam as part of New Zealand’s 7s squad for the Rio Olympics – adding to a resume that includes rugby union league and boxing. But while this decision would reinforce his reputation as one of the most versatile athletes in the world, he risks becoming the ‘World Buffet’ of sport. The personification of those restaurants which serve up Chinese, Indian, Italian, American and Thai cuisine in one lukewarm serving. The sort of joint where you wander around picking at an initially mesmerising offering, but where the individual elements aren’t quite up to scratch. In contrast, Israel Folau has signed a three-year extension with the Australian Rugby Union and will continue what has been a remarkable switch from Rugby League and Australian Rules to rugby union. 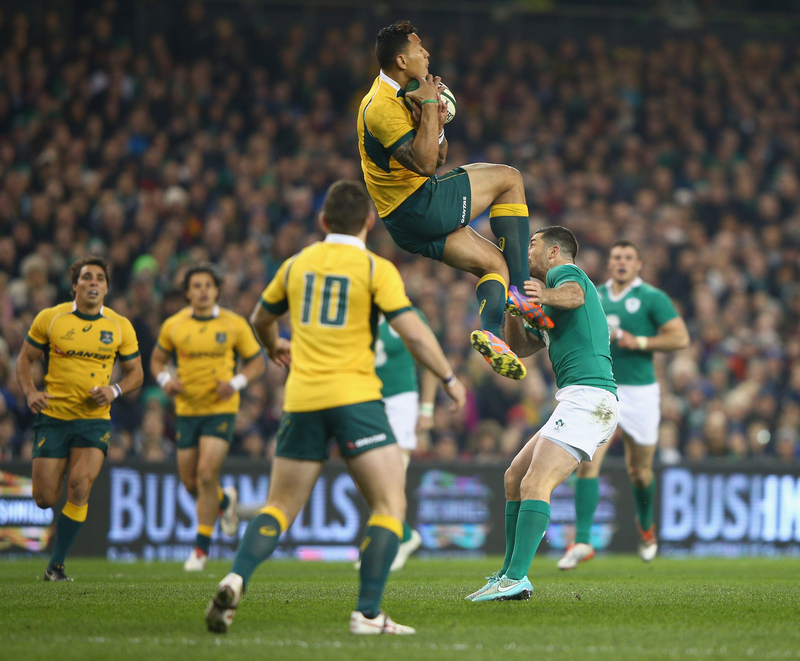 Whilst both players entered union as code hoppers, Israel Folau has become a genuine force in Australian rugby. His performances in this year’s Super Rugby have been exemplary and his ability under the high ball, stunning lateral movement and meticulous offload game have resulted in him being guaranteed a starting spot for the Wallabies – SBW mean while finds himself looking at a bench position, at best, with the All Blacks. SBW needs to decide if he wants to be Chateaubriand or a chicken curry pizza. 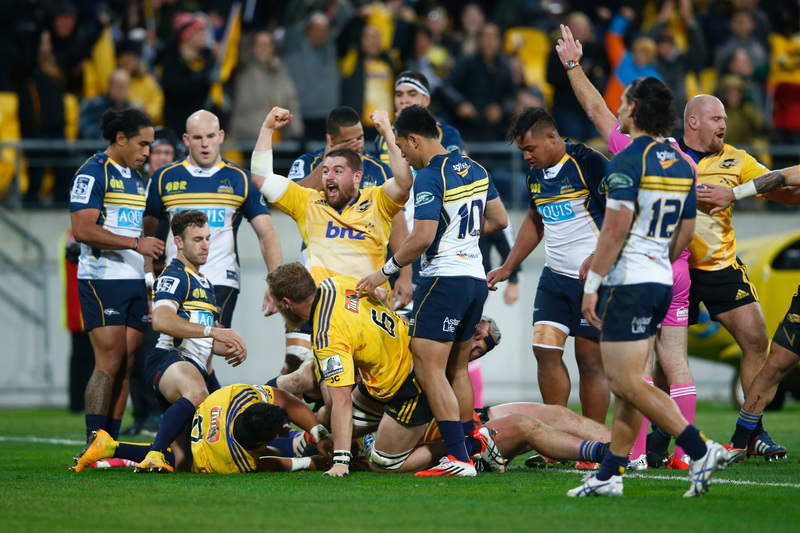 June saw Super Rugby secure the final that everyone wanted. Whether you’re from South Africa, South Island, New South Wales or the original South Wales, no one can argue that the Hurricanes and the Highlanders aren’t the best teams in this year’s competition. Waisake Naholo, Aaron Smith, Ma’a Nonu and Nehe Milner-Skudder have played the simplest, yet most exquisite rugby of the season. The Hurricane’s backline have taken passing to an almost ‘arcade-like’ level deserving of inclusion in the Android remake of NBA Jam. Whilst the Highlanders’ forwards have demonstrated an offload game that Northern Hemisphere backs are rarely capable of. But above all, both teams make a mockery of this notion that Super Rugby teams don’t complete enough tackles. They simply redefine the idea of a missed tackle. The manner in which both the ‘Landers and ‘Canes attack space and pass before contact, particularly behind the gain line, means that tackles aren’t missed – they are merely unable to me made. Roll on Saturday. Should rugby make more use of ‘lifting’? The season has already seen the world’s elite rugby coaches push, tweak and bend rugby’s laws in remarkable ways. This year’s innovations have tended towards the contact area and the issue of engagement with regards to the offside rule – the Chief’s (NZ) have been particularly impressive in this this area. Yet one aspect which still seems to remain unexploited is the ‘lift’. Whilst the effectiveness of lifting players at restarts and lineouts is obvious, its application in other areas of the game remain largely untapped. 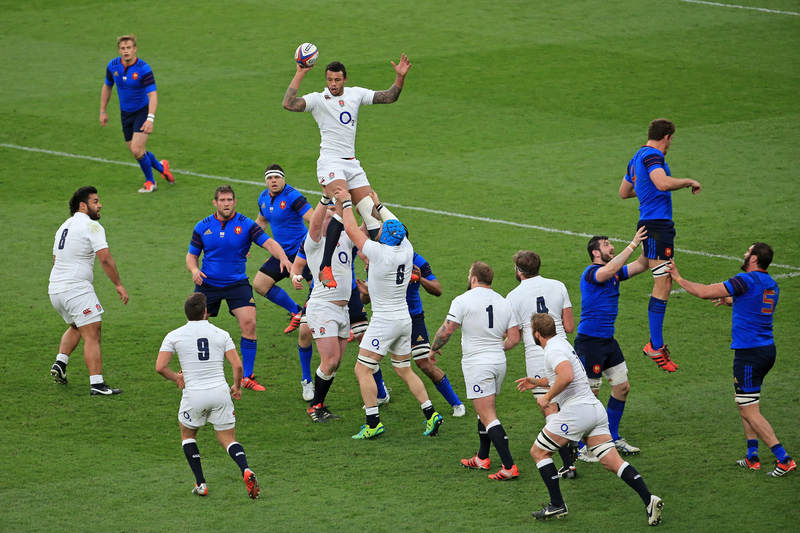 High jinks: Should the lift be used more innovately in today’s game? For example the ‘lift’ could be a potent weapon against defensive box kicks, whose telegraphed nature mean that they can be read 10 seconds before they’re actually executed – the simple lifting of a lock, by a ruck guard, would cause a significant problem for the scrum half. The propensity for low trajectory, ‘end on end’, clearance kicks could also be hampered by the use of a defensive lift. The defensive lift could also help with the collection of box kicks where the relative predictability of the ‘target zone’ means that a lifter could be employed in the same way as it is in a restart. Food for thought in the build up to the Rugby World Cup. The All Blacks’ announce their ‘wider’ squad. The last four weeks have seen all of the major players announce their training squads. But whilst Wales, South Africa, Australia, England, Ireland etc have announced wider squads, it was the All Blacks that announced a ‘deeper’ squad. The 41-man training man squad has such depth that it can only be fully appreciated from a naval submarine. The All Blacks haven’t merely named a squad; they have named two XV’s that could make the semi-finals of the Rugby World Cup. It’s a group which doesn’t look like a list of personal bests in the gym or players reliant on body mass – it’s two buses full of players who have the most effective skillsets in the world. The ultimate blend of technical specialism, handling, speed and power. If you have a moment, try and imagine which players from your nation would actually fit into the All Blacks’ squad – they will be few and far between. The All Blacks are the overwhelming favourites for the Rugby World Cup and don’t let anyone tell you any different. 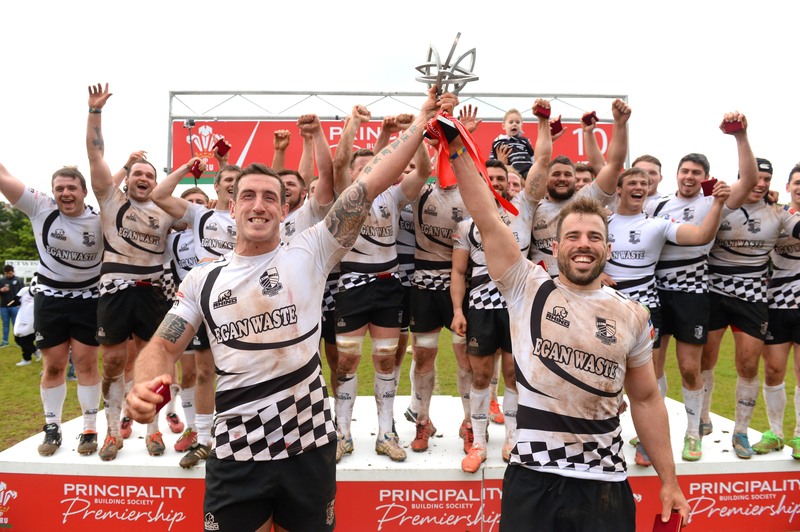 The Welsh Premiership’s revamp was confirmed on the final day in June. From 2016/17 the number of clubs in the Premiership will be increased from 12 teams to up to a total of 16, plus the LV Cup and British and Irish Cup will now feature ‘select’ teams from each region. But whilst the restructure is obviously important, it is the wider issue of the Premiership’s change in role that must remain the focus. The legendary clubs of Welsh rugby such as Pontypridd, Swansea, Neath etc now exist in a rugby landscape that can longer afford to place glorious histories at the expense of fragile futures. The Welsh Premiership is no longer about elite achievement; it is a structure that must exist to benefit the Welsh development structure as a whole. Wales’ Premiership teams no longer need to see their competition as each other, their competition is Toulon, Saracens and Glasgow. Success should be judged, and rewarded financially, by the amount and quality of players that they provide to the elite game. Without the successful pollination of players from the Premiership into the professional clubs in Wales – there will be no competitive rugby in Wales in 30 years. Unless the Premiership teams can swallow their role as feeder clubs for the regions above, Welsh rugby in its entirety may have to stomach being a feeder region for French and English club rugby.